How Emily Bronte’s classic novel became a ‘source text’ for a literature student. My parents, like most newly upwardly mobile folk who want to give their children a better education than the one they received, made fine distinctions between useful and wasteful reading all through my school years. This meant that all off-the-syllabus fiction was looked at askance; only textbooks constituted serious reading. My school years were therefore spent hungering after books. 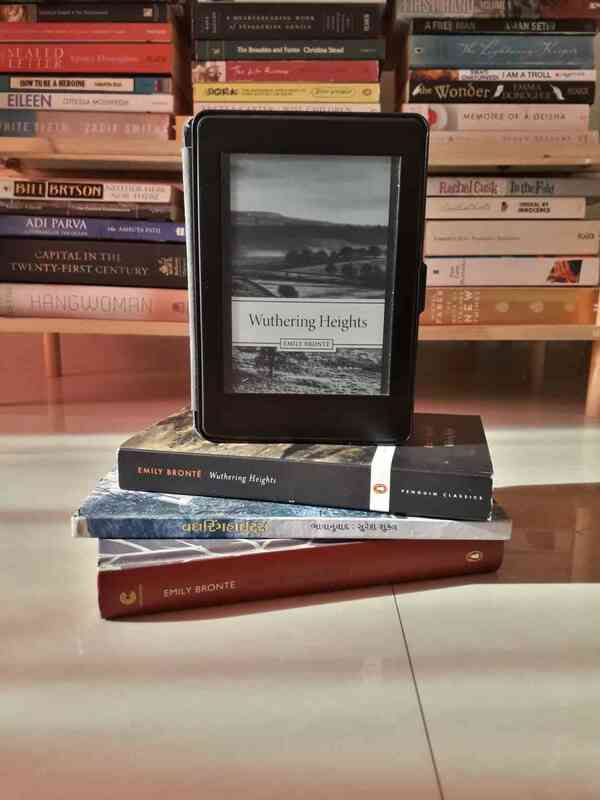 The school library allowed only one book per week and even that privilege was taken away during exam months and board years; very few peers read so borrowing was out too, and Kindle and Nook and other handy e-readers were still a few years away. I made the best of it by persuading younger sibling and non-reader friends to borrow titles I wanted from the library and reading PDFs on the family computer, but it was never enough. You can imagine, therefore, my feelings of excitement and wonder and universe-encompassing gratitude when I finally moved to Delhi University for a bachelor’s degree in English literature in 2013. For the first time in my life, I had access to more books, and more kinds of books, than I could read. Aside from the collection in the main college library and the departmental one, I was also welcome to the bookshelves of classmates and friends who, in the spirit of the best kind of readers, shared generously and freely. That is the year I started putting together a proper private library and I haven’t looked back since. My private library is part design, part accident, and wholly representative of my interests, experiences, and ambitions in the way only someone’s book collection can be. I suppose one could make similar inferences from a person’s film or music collection or, if you are fancy, their wine cellar or automobile garage but I personally don’t think anything is as definitively reflective of a person’s being as the stories they have cherished throughout their lives. So, if you happen to glance at my books, you will soon come to realise that I am an incorrigible consumer of fiction. Authors that I have come to rely upon like old friends make multiple appearances: Nick Hornby, David Foster Wallace, Stephen Fry, Ian McEwan, Barbara Pym, Stella Gibbons, Jane Austen, Agatha Christie, Emma Donoghue. Non-fiction finds some representation, in the form of Bill Bryson’s travel narratives, literary theory, journo lit, a few memoirs and autobiographies. Inside a considerable number of my books you will find lovingly scrawled inscriptions from dear friends, referencing inside jokes, vouching for a new writer they are sure I will love, and vowing eternal sisterhood. Oh, and you will also find some 15-odd copies of Emily Bronte’s Wuthering Heights. I can’t exactly recall when my epic saga with Bronte began. I have a vague, probably false, memory of the book being discussed in a brief aside by my English teacher in class when I was seven or eight, and already showing signs of literary besotted-ness. I remember waddling up to my then-librarian and requesting a copy of Wuthering Heights, please. She handed me an abridged version of the classic which I laboured through, liberally skipping pages and failing to understand much of anything. In fact, nothing made sense back then. Why were the people speaking like this? What are moors? What is a grange? Where is Yorkshire? Why are these kids not going to school? There was still something about the book, though – or was it just my childish stubbornness? – that made me stick it out. When I eventually turned the last page, something had changed. I knew I would find my way back to it again when I was older, more ready. True to my prophecy, I returned to the book again when I was in high school, about 15. This time, having been exposed, in a limited sort of way, to the classics and possessed of a stronger sense of the difference between Victorian England and us, I dived in once again. Reader, I was enchanted. Deep in the throes of adolescence, I read the book as a tragic love story. Heathcliff and Cathy were noble, misunderstood soulmates, just like I was a noble, misunderstood teenager! The anti-social intensity of their passion, their cruelty to others in pursuit of their love, their defiance of a hidebound society thrilled me to the bone. This was romance! This is surely what true love was like! Their isolation, their strangeness, their wildness, their vulnerability, Heathcliff’s constancy and Cathy’s impetuosity – it caught me up like a fever dream and, if I am entirely honest, hasn’t let go properly ever since. To me, the second generation of the story – with its taming of those wild impulses in favour of social coherence and civility – might as well not have existed. Even now, when I am older and somewhat wiser and able to read the book with a more professional eye, I find myself skipping over the latter half of the book. In college, I learnt to read books in a more structured manner. 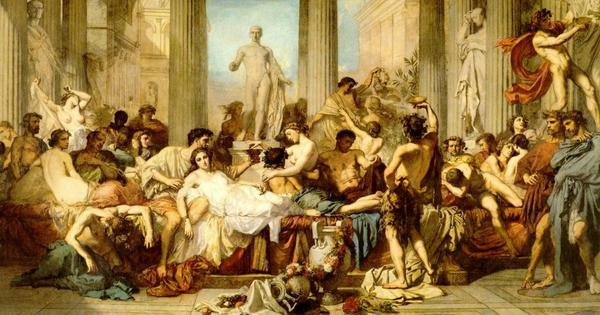 We learnt to read classics as social documents that captured the details of a world lost to us. We were taught to read between the lines, and into the silences; what the text chose to hide or exclude or gloss over became as important, if not more so, than what it said. These stories were crawling with racial tensions, with skewed gender dynamics, with the eternal tussle between capital and labour; allusions to contemporary historical events needed to be unearthed and these stories of love or hate or revenge or adventure properly contextualised. By the time I came to BA, Wuthering Heights was no longer a part of the English syllabus; its sister text Jane Eyre was. The way we went at Eyre with a scalpel in class, much as I enjoyed it, still made me grateful that I could nurse Wuthering Heights in the privacy of my soul, like a secret. It was irresistible, though, after a while, to be aware of two centuries of exciting scholarship on the book and not explore further. So armed with JSTOR credentials and a library card, I devoured essays and books that gave me a wealth of historical and biographical information, as well as critical perspectives, that made me realise how crude my initial assessment of Wuthering Heights had been. I had ascribed most of its power to the emotional tempest it described and contained, but the artistic skill and shrewd creative decisions that had gone into its craft had escaped me entirely. It was an education in the art of nested narratives and unreliable narrators; in proto-feminism (Cathy needs to marry Linton to survive, being entitled to no property of her own), in race relations (Heathcliff could very well be a black foundling Mr Earnshaw picked up in Liverpool, a historical slave port) in Calvinist theology (old Joseph’s grumbling and harrumphing makes a lot more sense), the great potato famine in Ireland, etc. The accounts of Emily Bronte’s own remarkable, short life made my love for the book and her fiercer; it didn’t surprise me, somehow, that the woman who wrote of such all-consuming love had gone to her own early grave solitary and uncoupled. Usually, this kind of scholarship doubles as an act of epistemological violence. Once you are able to dissect a book into its structural components, the magic and mystery of that first encounter is a little dimmed, forever. What gets described, what is explained, is also contained; a literary scholar compared dissecting stories and poetry in order to better understand them to dismantling a mechanical bird to its constituent cogs and wheels and then expecting it to fly. For some reason, however, Wuthering Heights for me has escaped this fate. No matter how many times I read it, or how much I read of it in other places, a little part of me is always in awe, as if regarding something fundamentally unknowable, always just a little bit out of grasp. I have ended up with many copies of the book over the years; most of them bought on a whim as I shift from one city to another, some gifted by dear friends, some picked up out of habit from Dariyaganj and second-hand book shops. There is a beautiful blue Penguin hardcover edition that one of my best friends bought for me at the Jaipur Literature Festival. There is a graphic novel version I downloaded on my laptop a few years ago. There are multiple Kindle versions I keep to always have it with me on the go. I have also, for some reason, ended up with a Gujarati version, translated by Suresh Shukla. The thing is that I can only read a little Gujarati, mostly bold newspaper headlines after much guessing and sounding words out. So why do I have this version? Why, you might as well ask, do I have so many versions? I have spent half a decade of my life as a professional nit-picker of narratives. I know how comforting, indeed necessary, it is to have a story we can tell ourselves of our self, of our life, so that what is essentially a jumble of sensation and memory and event makes some sense. This is why I try to check in myself this tendency to myth-make; to bring to it some degree of self-reflection. This learned habit, however, quickly flies out the window where Wuthering Heights’s place in my life is concerned. I look at my many copies and feel as if I have been searching, for a large part of my life, for some meaning behind my passion for this book. It seems like every new copy has been an attempt at unravelling this mystery a little more; each time I open a new version, a hope flares that I might understand some aspect of this book, and by extension myself, a little further. Fanciful? You bet. A dear friend has a theory that all of us have “source texts”; stories or books we read at crucial junctures in our life that have seeped into the very fabric of our being, shaped us and our perspectives in ways we can no longer untangle. Wuthering Heights is definitely one of my source texts. It shaped, among other less-articulable things, my ideal of love. Feminism, and feminist thought, did indeed mould this initial ideal into a more equal, less destructive one but I still think of Heathcliff standing on the moors, and Cathy begging to be let in at the window, when I am sick at heart. For this reason, when I fell in love, I day dreamed constantly about being able to give a copy of Wuthering Heights to the person in question. If only he could read this book, and read it with me in mind, I thought, he would understand me a little better. And if he responded to the story with even half the fervour I do, then clearly he was the One. That did not transpire. In real life, I turned out to be more like the cowardly narrator Lockwood than either Heathcliff or Cathy; I never told him. I did end up giving him a book around the time I was quitting and readying to leave the city, a book he has with him still and might have till the end of both our days. That book? Ian McEwan’s Enduring Love, a paean to the enduring nature of love, as well as the anguish of having to endure loving another and being loved. In another twist of dark prophetic humour, I ended up giving away one of my copies of Wuthering Heights to another young man that same year. The book was by way of repayment for some small amount he wouldn’t otherwise accept from me, and a thing to read on the train journey back when he left. Two years later, I would suffer some of that famous Brontean heartache on this person’s account. One of my solaces at this time of moping in bed, disillusioned and heart-sore, was Andre Aciman’s Call Me by Your Name, the story of a young man, Elio, desperately in love with a scholar under his father’s tutelage who comes to spend a summer with them in their Italian home. Elio’s obsessive, worshipful longing felt unbearably familiar, and like both ache and balm in its familiarity. This sense of familiarity picked at me throughout the book, like a favourite tune I couldn’t quite recall, until I reached one of the last pages where Elio’s sympathetic father invokes Bronte’s words to encourage him to stop denying himself love and happiness: “He’s more myself than I am”. Aha! Once she had been explicitly named, Bronte’s influence in this book was everywhere. It didn’t matter that her story was one of thwarted love between a man and a women in 19th-century Yorkshire and this one was about the frustrated passions of two young men in 1980s Italy. It turns out that we are more alike than not when it comes to love’s rewards and despairs. Is this why it had felt like home all along? Is this why it had come to me at this precise moment in time? Do books know something we don’t? 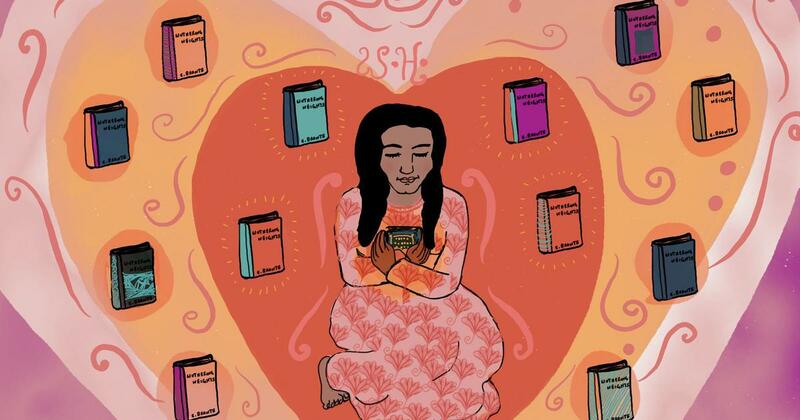 This article first appeared on Torch Light, a journal of Libraries and Bookish Love.